PayKickstart contains all the features you need to sell your products and manage your online business. Integrate seamlessly with the 3rd party apps you already use and love. Ready to start accepting payments? 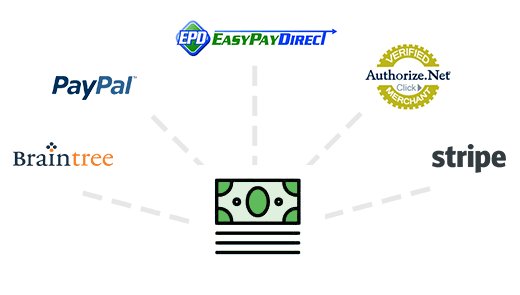 Just connect to one of trusted payment gateway partners, including Paypal, Braintree, Authorize.net, Stripe, EasyPayDirect. No secure payment details are ever stored on our servers. Add a customer to a membership program, immediately sending their customer login details upon purchase. 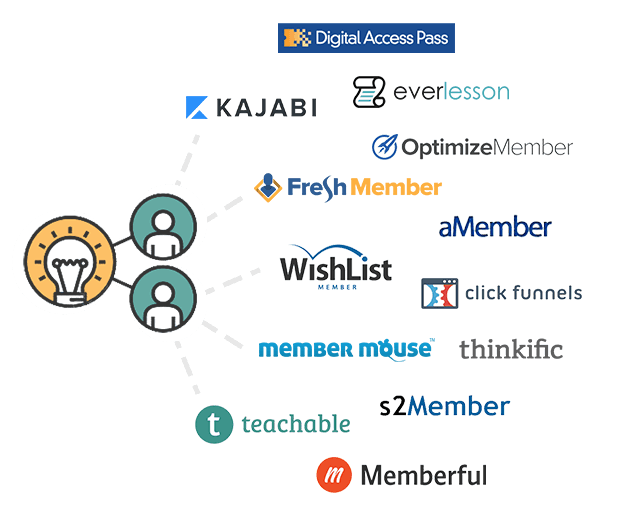 Connect to one of the 10 different membership platforms we integrate with or use our IPN to integrate with an another service. 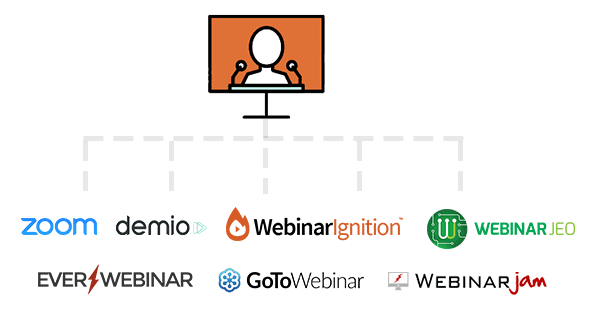 Want to automatically add a new customer to an upcoming webinar? Simply connect your webinar service with PayKickstart and each customer will be added to the upcoming webinar you specify. 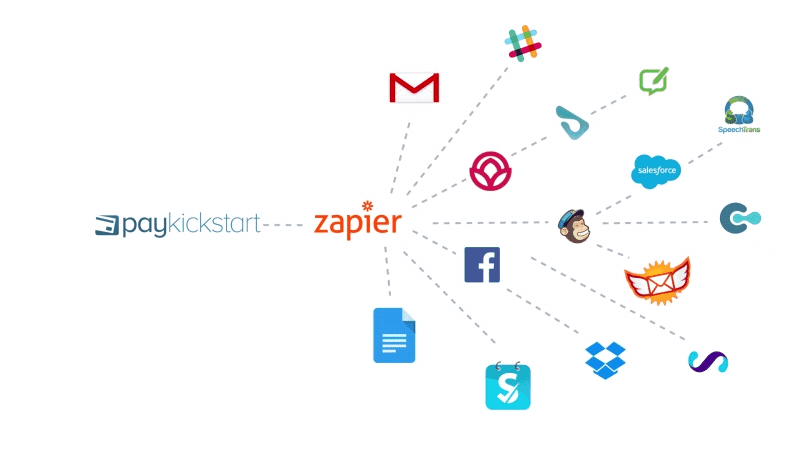 With over 500+ integrations, if you cannot find the integration you are looking for - odds are you'll find it with Zapier. With our PayKickstart + Zapier integration it unlocks the ability to connect to literally hundreds of additional 3rd party services. Want to add your buyers to your email marketing service for future follow-up? 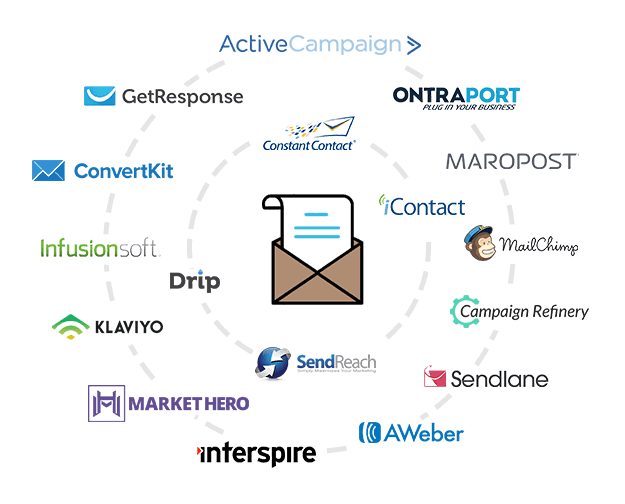 Just connect your email marketing service to one of our 16 trusted partners and add prospects and customers to your list - optionally tagging them for advanced subscriber data. Want hands-free product fulfillment? Have all of the customer's product and shipping details sent over to one of our fulfillment partners who can take it from there - packaging your product, shipping and tracking it until delivery. Watch the status update from Order to Delivery right from inside PayKickstart. We continue to add additional integrations with other 3rd party services to make it simple to manage your online business right from inside PayKickstart. 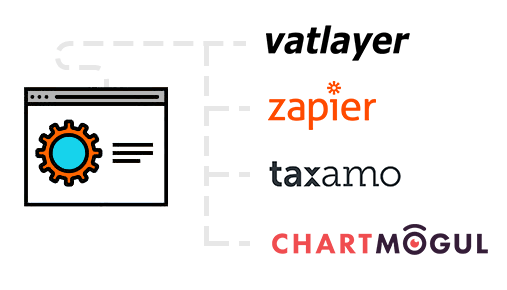 With integrations like Taxamo for VAT tax/compliance and Chart Mogul for advanced analytics, we continue to add more partners as we grow! Have something custom that you need to integrate with PayKickstart? Great! 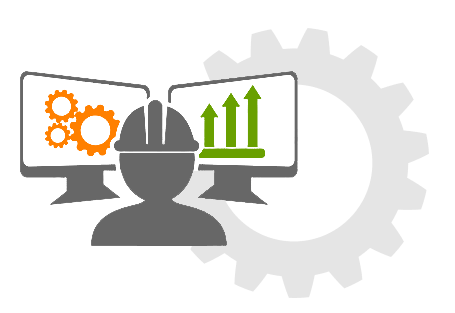 We have a complete API with documentation that can help developers handle any type of custom integration you may need. Ready to Test-Drive PayKickstart for Free? We offer a variety of plans and pricing options to fit the needs of any business.